It's a well known fact that red lips have had more than their fair share in the limelight. A rouge pout is now every girl's Saturday night staple, hand bag must-have and no-fail celebrity beauty trick—haven't we all heard that before! So don't you think another shade deserves a spin in the spotlight? Well, I most certainly do! Over the past year, I've begun wearing more purple lipstick and unintentionally, trying and testing it as well. Whether they've been in cool lilac tones or deep plums, something about purple lipstick gives my face a bright, dazzling look. Before you think it's one of those niche shades to save for a daring day out (blue lips, I'm looking at you! 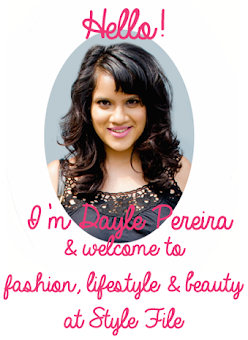 ), newsflash: I've flaunted a pair of purple lips to work meetings, birthday parties and event launches with elan. 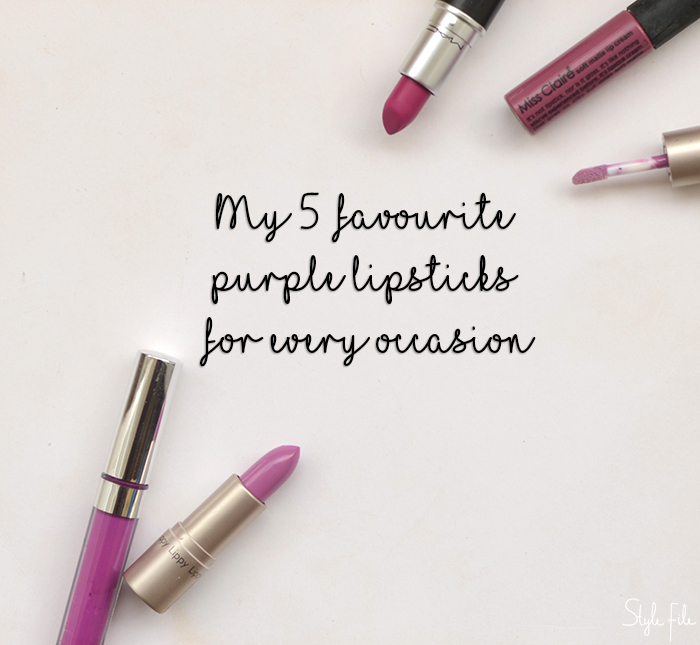 So without any further ado, here are 5 of my favourite purple lipsticks which look divine on Indian skin tones for every occasion. If you ever had a doubt about purple lipstick, the MAC Flat Out Fabulous will clear all confusion. It is a gorgeous vibrant plum shade that can complement absolutely any complexion. In fact, it was once my last resort when I was wearing a sunshine yellow dress and would you believe it—it looked amazing! 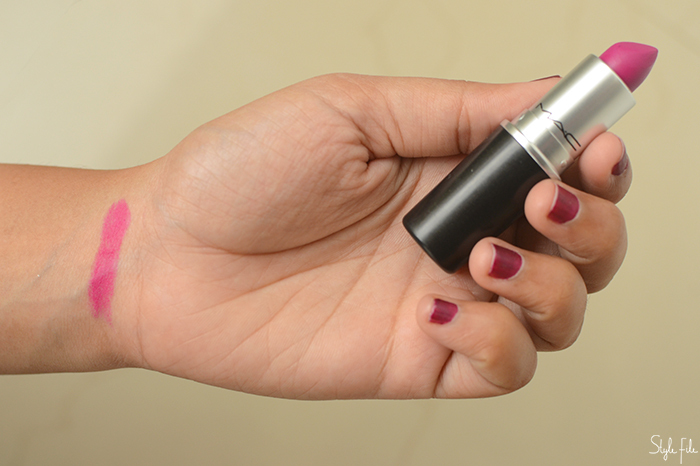 As with any MAC retro matte, it sits comfortably on the lips and gives them a velvety matte finish. It isn't news that I'm a Miss Claire fan—what they lack in originality, they make up for in pricing and shades. The shade 15 from their lip cream range is one such winner. The rosy purple shade is a subtle upgrade to everyday mauve tones and gives just the right hint of matte colour that's easy on the lips. Especially on rushed mornings when you can't afford to give your lip colour a second thought, make this your go-to purple lipstick. 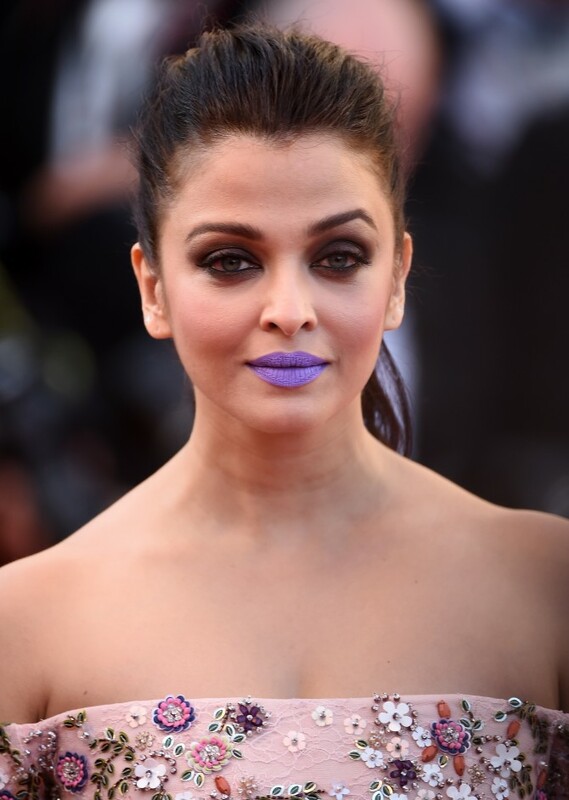 If this pleasant lavender hue reminded you of Aishwarya's infamous Cannes outing, fear not because that was much cooler toned than this. An unusual shade, I'll admit but Look Beauty's Double Hit Lip in Berry Blast does justice to it. 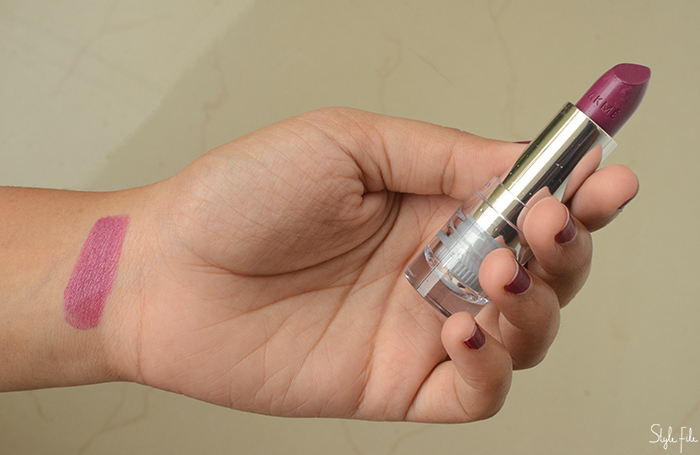 One side of the tube houses a creamy lilac lipstick and the other, a sheer gloss in the same shade. If it's intense purple or a glossy hue of it, this is the answer. Plus, it has a delightful coconut fragrance to boot! If you thought purple lipsticks were all fun and games, the shade W273 from Lakme's Enrich Satin range will prove you wrong. It's a burgundy toned violet that glides smoothly on the lips and lends it a soft, satin finish. The best part is, it isn't outrageous or loud so it's the perfect choice for a day at the office if you don't want to raise any eyebrows. Although it isn't very long lasting, it's an affordable starter to enter the purple lipstick family. Lychee by Colourpop signifies the beginning of many things to me—it was my very first Colourpop product, my first matte liquid lipstick and my first true purple colour. It was definitely risky selecting such an adventurous shade online but once I came to terms with the electrifying violet shade, there was no going back. It's incredibly pigmented and sits put once it sets but it can feel dry after a few hours. However for a daring purple lipstick that doesn't move an inch, it's all you need.